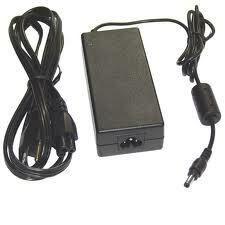 Laptop power transformer and battery charger. We can test and diagnose failing laptop chargers, and we stock many common replacement chargers and power cords. We can also special order any type of chargers. Most chargers are $29.00. We provide replacement chargers for Dell, HP, Sony, Gateway, Acer, IBM/Lenovo and Apple, including replacement mag chargers. Most transformers will automatically select 50/60hz and 120/240vac operation, allowing them to operate in foreign countries. Only a plug adapter to convert the plug type is necessary; the transformer will automatically adjust the voltage and frequency. do you have a wall charge for a dell venue 11 pro ? Yes! The Dell Venue 11 Pro uses only a USB cable for charging, and relies on a high-power 10-watt (2000ma) charger for fast charging. It can be charged with a regular 500-ma cell phone charger but it will take four times longer.